How to make bestseller from your property? - PROint d.o.o. How to make bestseller from your property? A strategy of comprehensive real estate solutions is prepared according to the owner’s immovable property, problems, and business objectives. The strategy comprises the strategy and implementation parts. In the strategy part, the potential of immovable property and the manner of its inclusion in the achievement of the objectives set is evaluated, whereas in the implementation part, the strategy sets forth the directions for the marketing and use of the immovable property. 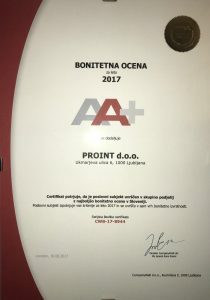 PROint coordinates real estate activities and takes care of coordinated action of all participants in the achievement of the ultimate objectives. Real estate management (entries in public records, land register, etc.). Our advantage is in that we have broad knowledge of real estate and cover all its segments. This combination has allowed us to fit out turnkey property very successfully, which means that we save you time and money, and that you can focus on activities more important to you, while your premises are being changed to a comfortable home. Our turnkey solutions are a modern and comprehensive way for you to achieve an excellent living experience and use the real estate rationally.